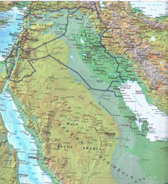 Historical map of Israel. Figure shows the area allocated to Israel by the UN in 1948. 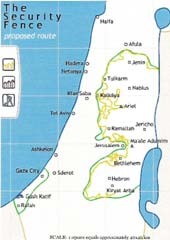 Compare to Israel's map below of its security wall. October 7 - The US embassy in Islamabad warns Americans to avoid key city center buildings amid heightened tensions over drone protests. Americans living or working in the Pakistan capital have been warned to stay away from government buildings and major hotels because of a terror threat. The US embassy in Islamabad flagged up a general threat from the country’s interior ministry that warned of terrorist attacks aimed at certain city center visitors. Among the potential targets are hotels popular with US visitors, including the Marriott, Holiday Inn, Best Western, and the Margalla Motel. It came as thousands of Pakistanis, joined by US anti-war activists, headed towards Pakistan’s volatile tribal region to protest American drone strikes for a second day. The rally was led by cricket star turned politician Imran Khan and his political party, Pakistan Tehreek-e-Insaf. Factions of the Taliban had threatened to attack protesters, with one calling Khan a "slave of the West". The embassy warning did not specify whether the threats were related to the drone protests. Khan has harshly criticized the Pakistani government's cooperation with Washington in the fight against Islamist militants. He has been especially outspoken against US drone strikes targeting militants and has argued that the country's alliance with Washington is the main reason Pakistan is facing a homegrown Taliban insurgency. Pakistan's tribal regions, such as North and South Waziristan, border Afghanistan and serve as bases for militant groups such as the Taliban to stage raids across the border into Afghanistan. The protest convoy of about 150 cars set out on Saturday from the capital Islamabad, traveled 250 miles and then stopped overnight in the city of Dera Ismail Khan. The plan for the second and final day was to travel another 70 miles to reach Kotkai in South Waziristan by early afternoon and stage a rally there. But authorities blocked their path with shipping containers on the highway. The group was turned back just miles from the border of South Waziristan. After an hour of fruitless negotiations, Mr. Khan announced that the caravan would backtrack to the city of Tank, about 15 kilometers (nine miles) away. The US says its drone strikes are necessary to battle militants that Pakistan has been unable or unwilling to control. 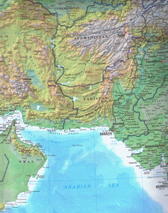 [>news.sky.com; See also aljazeera.com, October 7, "Pakistani authorities halt anti-drone protest." October 7 - The shooting of suspected terrorist Jérémie Louis-Sidney Saturday has raised alarm in France, not only because of terrorism fears, but also because he was a home-grown militant. Sidney was shot during a raid in a large scale police operation. For Jérémie Louis-Sidney, France’s latest home-grown terror suspect, the end came swiftly and violently. On Saturday morning, the 33-year-old Frenchman was sitting on a couch in a Strasbourg apartment when special anti-terror police officers stormed into the premises, according to police sources. Sidney immediately fired at them with a .357 Magnum, emptying his Smith & Wesson pistol barrel before he was shot dead by police. Three police officers were injured — including one who was shot in the chest and another in the head. They were both protected by their helmets and body armor. Sidney, a recent convert to Islam, was in the home of "one of his two religious wives" — a 22-year-old woman — and her six-year-old daughter and a one-month-old infant, according to Paris prosecutor Francois Molins. But not much is known about the man at the heart of Saturday’s nationwide anti-terror raids that resulted in Sidney’s death and the arrests of 11 other terror suspects. French police say Sidney was a suspect in the September 19 bombing of a kosher grocery store in the gritty northern Parisian suburb of Sarcelles. Saturday’s crackdown was directed at a suspected Salafist network believed to be behind the kosher grocery bombing, which was conducted by "a low-grade explosive device". One person was lightly injured in the attack, which caused considerable alarm among France’s Jewish community. October 5 - The UN Security Council on Friday unanimously condemned what it described as "terrorist attacks" in the Syrian city of Aleppo earlier this week, a series of coordinated suicide bombings which killed 48 people in the northern metropolis. "The members of the Security Council condemned in the strongest terms the terrorist attacks in Aleppo, Syria on 3 October, causing dozens of deaths and over one hundred civilians injured, responsibility for which was claimed by the Jebhat al-Nusra group affiliated with al-Qaeda," the 15-nation council said in a non-binding statement, according to Reuters. Car bombs exploded on Wednesday near a military officer’s club and outside a gate to Aleppo’s Old City, killing dozens of people and wounding more than 100 in Syria’s second largest city. The city has been a focal point of bitter fighting between Syrian forces loyal to President Bashar al-Assad and rebels trying to oust his regime. BEIRUT, Lebanon (Reuters) September 26 - A Syrian rebel bomb attack reduced the army headquarters in Damascus to a smoldering wreck on Wednesday as world leaders, unable to break the diplomatic deadlock in the conflict, met at the United Nations. The rebels said the assault on President Bashar al-Assad's power base in the center of the capital killed dozens of people. The army said four guards were killed and 14 wounded in what it said were suicide attacks. No senior officers were hurt in the blasts, which shook the whole city just before the start of the working day, it said. It was the biggest attack in Damascus since July 18 when a bombing killed several senior security officials, including Assad's brother-in-law, the defense minister and a general. September 26 - Muslim leaders demanded international action to stop religious insults in a challenge to US President Barack Obama's defense of freedom of expression at the UN General Assembly. Obama made a strong condemnation of "violence and intolerance" in his speech at the UN headquarters on Tuesday. He said world leaders had a duty to speak out against the deadly attacks on Americans in the past two weeks caused by an anti-Islam film made in the United States. But Muslim kings and presidents and other heads of state said Western nations must clamp down on “Islamophobia” following the storm over the film which mocks the Prophet Mohammed, AFP reported. President Susilo Bambang Yudhoyono of Indonesia, the world’s most populous Muslim nation, said the film was another "ugly face" of religious defamation. Yudhoyono quoted the Universal Declaration of Human Rights as saying that "everyone must observe morality and public order" and commented: "Freedom of expression is therefore not absolute." He called for "an international instrument to effectively prevent incitement to hostility or violence based on religions or beliefs." King Abdullah II of Jordan, a close US ally, spoke out against the film and the violence it sparked. Pakistan's President Asif Ali Zardari condemned what he called the "incitement of hate" against Muslims and demanded United Nations action. "Although we can never condone violence, the international community must not become silent observers and should criminalize such acts that destroy the peace of the world and endanger world security by misusing freedom of expression," he told the assembly. Afghan President Hamid Karzai took aim both at the anti-Islam video and publication of cartoons depicting the Prophet Mohammad — the latter occurring most recently in France. Karzai called the insults to the faith of 1.5 billion Muslims, the “depravity of fanatics,” and added: “Such acts can never be justified as freedom of speech or expression,” according to Reuters. "The menace of Islamophobia is a worrying phenomenon that threatens peace and co-existence," he added in his address to the General Assembly. Editorial Note: While a law against "Islamaphobia" towards the Muslim world would prohibit insults and persecution of the Islamic religion, it seems a contradiction for international law to prohibit anti-Islam speech when Christians, Sikhs, Bahá'í (banned in Yemen, Iran and Indonesia), Shia Islam (banned in Malaysia,, persecuted in Pakistan), Assyrian Church (persecuted in Iraq), Ahmadiyah (persecuted in Indonesia) Hindus, Buddhists and other faiths are banned and persecuted in Islamic nations. Faiths like to promote their exclusive path to God, some, as in Iran, to the extreme, where the Supreme Leader Khamenei carries absolute power and the ability to proclaim on behalf of Allah anyone in contempt of God, with the proviso that being in contempt of God carries the death penalty. The power and abuse by Khamennei can be compared to that of the Grand Inquisitor Tomás de Torquemada in Spain from 1420-1498. He was one of the chief supporters of the Alhambra Decree, which expelled the Jews from Spain in 1492. About 2,000 people were burned at the stake by the Spanish Inquisition between 1480 and 1530. To appreciate the extent to which the ancient world was plundered by the Assyrian kings see our work, "Assyrian catalog of Anatolian lands and leaders." September 26 - Loathed in the West and weakened at home, Iranian President Mahmoud Ahmadinejad wrapped up his annual address to the UN General Assembly on a theological note Wednesday, hailing the imminent arrival of an "Ultimate Savior." "God Almighty has promised us a man of kindness," the Iranian leader told world leaders and senior officials gathered in New York, at what was expected to be his last speech to the assembly as president of Iran. Ahmadinejad said the savior is "a man who loves people and loves absolute justice, a man who is a perfect human being and is named Imam al-Mahdi, a man who will come in the company of Jesus Christ and the righteous." As a Shiite Muslim, Ahmadinejad reveres Islam’s twelfth imam, Muhammad al-Mahdi, who disappeared from the earth in the 10th century and is said to be due to return, accompanied by Jesus, to save mankind. KABUL, (AP) September 22 - Afghanistan banned all Pakistani newspapers from entering the country on Friday in an attempt to block the Taliban from influencing public opinion via the press. The order, issued by the ministry of interior, adds to the mounting tension between the neighboring countries. It focuses specifically on blocking entry of the papers at Torkham, a busy border crossing, and directed border police to gather up Pakistani newspapers in the three eastern provinces of Nangarhar, Kunar and Nuristan. "The news is not based in reality and it is creating concerns for our countrymen in the eastern provinces of Afghanistan," the ministry said in a statement. "Also, the newspapers are a propaganda resource of the Taliban spokesmen."